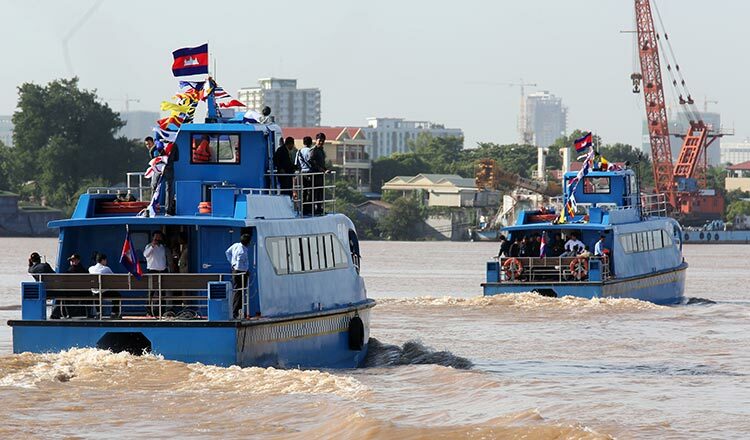 The water taxi system, a network of boats inaugurated in April to connect destinations along the Tonle Sap and Tonle Bassac rivers, was used by more than 30,000 passengers in 2018, according to the Ministry of Public Works and Transport. The system, which links Phnom Penh’s Prek Phnov and Kandal province’s Takhmao city, is free for all passengers, with authorities still deciding on a final fare. There are now six boats travelling between four stations. The government initially said free rides will end with the New Year. However, according to Va Simsorya, spokesman for the Ministry of Public Works and Transport, a discussion on a fare for the service has yet to take place, with the free rides continuing until a price is agreed upon.